The rapid development and changes occurring in control systems, connectivity and sensor technology are important factors in helping manufacturing industry realise the opportunities and benefits of Industry 4.0, the so called next industrial revolution. Much of the control systems architecture and essential components as we know them today are changing as data can be collected direct from devices, which can then be analysed online. However, most of the data generated never even leaves the control loop on the machine, so can be lost. 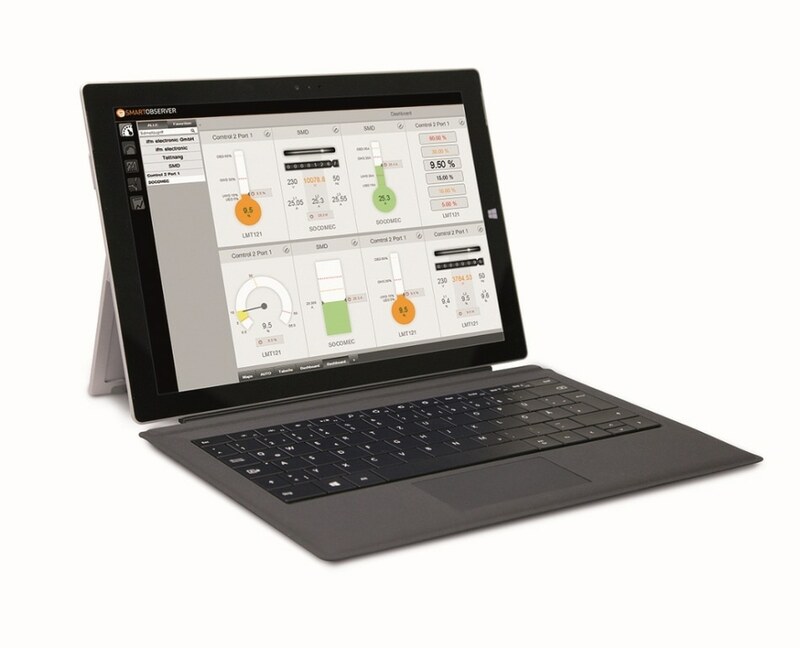 Managing these changes and taking advantage of the opportunities they present requires more sophisticated software such as LR SMARTOBSERVER an ‘out-of-the-box’ application software product recently introduced by ifm electronic. Smartobserver software enables users to condition data acquisition primarily to see what is actually happening on their manufacturing plant right down to individual sensor level and then store that data for analysis later. At the heart of Smartobserver is the LR agent CP which is the key to collecting data and is essentially configurable, bio-directional communicating interface software. It collects and handles the information from the machines in the manufacturing process and transmits it to other systems (e.g. databases, ERP systems, MES). In addition, LR Agent CP can send the required information back to the machines in the process. The fundamental benefits of using Smartobserver is that it provides operators with details of the bigger picture with an analysis of what is actually occurring in their process driven by direct data collected from the sensors in their plant. Therefore, relying on historical data for estimations becomes unnecessary and irrelevant. The result is improved condition monitoring of machines and installations, better analysis of energy consumption and optimum quality control of the processed products. To sum up the key features of Smartobserver and what they represent are; continuous condition monitoring of machines & systems, trend analysis, representation of limits and evaluation of all process parameters, data collection of all available parameters, visualisation & evaluation with trend display for pressure, flow, temperature, current & rotational speed. Also if required, changing operating condition of machines, data provision for more sophisticated systems such as ERP, SAP, HANA, MII, ME and alarm escalation chains. This results in customer benefits such as; more energy-efficient production, improved quality assurance and preventative maintenance, reduced manufacturing costs, increase uptime and enables remote maintenance and notification.